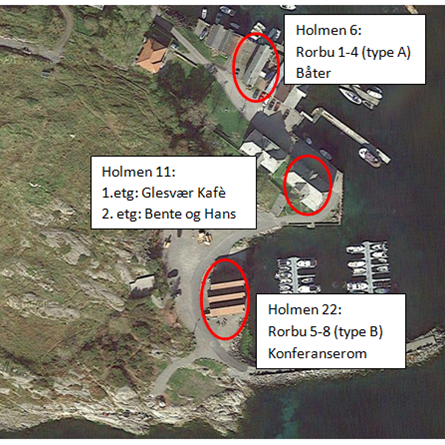 Glesvær Rorbu have 8 Fishermans cabins (rorbu). At Holmen 6 you find type A, which are Fishermans cabins for four persons. At Holmen 22 you find type B, for six persons, in addition to the conference room. In between these houses you can find Glesvær Kafè. Wifi is free for all guests, and there is a good mobile coverage. Contact us if you want to bring along your animal.